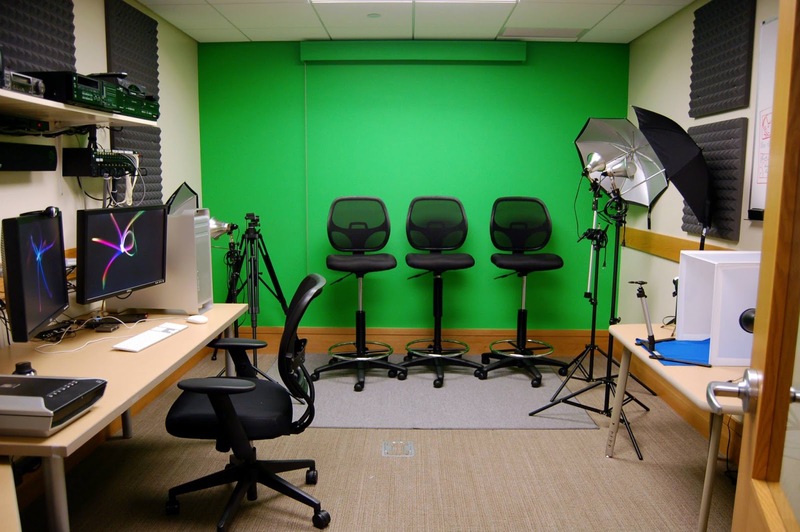 In June, the Digital Media Lab (DML) I spent a year putting together will be four years old. The planning stage took a lot out of me. My library’s phone bill must have spiked with all the hours I logged interviewing other libraries. I agonized over buying window tinting to keep the studio light from bothering others (no one has noticed). I met with the local high school music guy about the best audio equipment. The final product is the result of the whole library working together to make it happen. Then when we opened the doors for the very first time, we had a patron already waiting outside the door. Out of all the work I’ve done, nothing has had a greater impact than this tiny room. I’ve taught people to digitize their tapes, slides, photos, negatives, documents, and records. I’ve also spent a lot of time setting up the camcorder so I could show how to do an interview, use the green screen, and make a music video. While digitizing slides, a patron and I looked up Google Street View of the hotel she stayed at in the 60s. We looked at the location now vs. then. She told me about jumping into the pool there on the Jersey Shore. The DML is small, but it’s full of memories. Then there are the entrepreneurs. They come with both full-fledged visions and ones that haven’t thought beyond wanting a website. I didn’t start out to be a small business consultant, but they draw me in. I’ll coach them through articulating what need their idea meets, defining their audience, and how to reach them. The original query might have been for website help, but we usually end up discussing their dreams. The worst thing about a DML is that it is the only place where the library may harm a patron, and by “harm” I mean their memories. We take their photos, videos, and audio, and try to create a digital copy. Every time someone pushes their tape into the VHS to DVD recorder, I panic a little. Yes, it's been safe for each video before. But is this the point where it fails? Tapes with their ribbons pulled out and torn, scratches on discs, equipment catching fire, photos rumpled in an automatic feed scanner. It would be so easy for the technology to betray us and break something that we can’t fix. We make no promises, but the guilt would be immense. Less terrifying, but more annoying, is keeping up with maintenance. Software constantly wants updating and someone snuck food in and now I can’t get this -- what even is it? -- off the table. Every six months I edit the desktop’s wallpaper to say that I’ll delete all content left behind the first week of January/July, although I rarely need to since there’s enough space for it to stay. So far only one person’s materials have been deleted by someone else. It was mine -- I edited our Darien Does Gangnam Style video here. I finalized the video and came back the next day to grab the edit files. Someone had deleted it. Sad for me, but at least a patron had not lost anything. I recently gave a tour for some visiting librarians. They hit me hard and fast with, “If you had unlimited funds, what would you add?” I said that I wanted a $3,000 slide scanner. The current scanner does four at a time, but the one I’m looking at can digitize 100s per hour. I’ve sat too often by someone who realizes the process is slow and then will just choose a few slides per stack to scan instead of scanning them all. It hurts me when I see them give up on those places visited, friends made, and jokes shared. Next I would soundproof the space, but it’s impossible since we would have to close down parts of the adjoining rooms to do it. My colleague suggested a sound booth. Maybe, but the room is small. I’m immensely proud of bringing my boss’s vision to life. It does more than just create digital experiences. For example, I’ve held around 300 one-on-one tutorial sessions in it when it was not otherwise preoccupied. The flexibility of the space and equipment gives you room to grow as your community’s interests change. However, a DML also needs more staff time than you can likely give it. When planning your space, invest time in creating tutorials and training staff. Keep in mind that people have different learning styles, so make your training resources as variable as you can afford to do so. Most of all, have fun and enjoy what people can create. Amanda L. Goodman is the user experience (UX) librarian at Darien Library in Connecticut. When not teaching classes, building websites or creating publicity materials, she tweets as @godaisies. She wrote a Library Technology Report on DMLs, which you can download for free. Just For Fun: "Let Life Be Like Music"